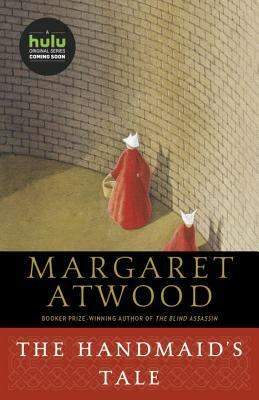 Margaret Atwood’s The Handmaid’s Tale is one of the earliest and most influential dystopian novels of our time. The story centers on Offred, a woman living in the newly formed region of Gilead (formerly the American Northeast). Due to low fertility rates in the US, women have been stripped of their freedoms, and forced into specific roles to increase the birth rate. Offred is a Handmaid—a woman whose sole purpose is to bear children to prominent men. The Handmaid’s Tale is a disturbing look into a possible not-to-distant future, and is relevant to our modern day. The fictitious Republic of Gilead uses strict Christian/Puritan theology to justify the removal of personal identities and the reordering of society. Women are banned from reading and writing, relationships are strictly controlled through the government, and any dissenters are publicly executed. Reminiscent of both The Scarlet Letter and 1984, The Handmaid’s Tale is sure to provoke strong emotions in readers.